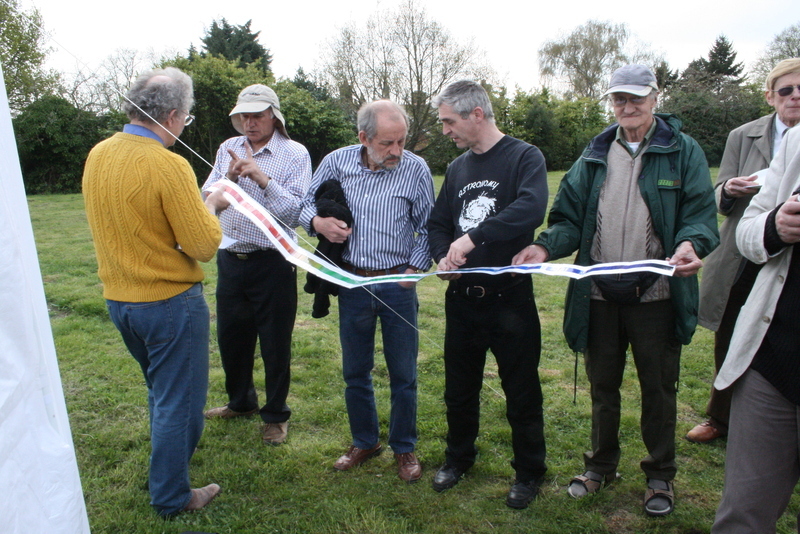 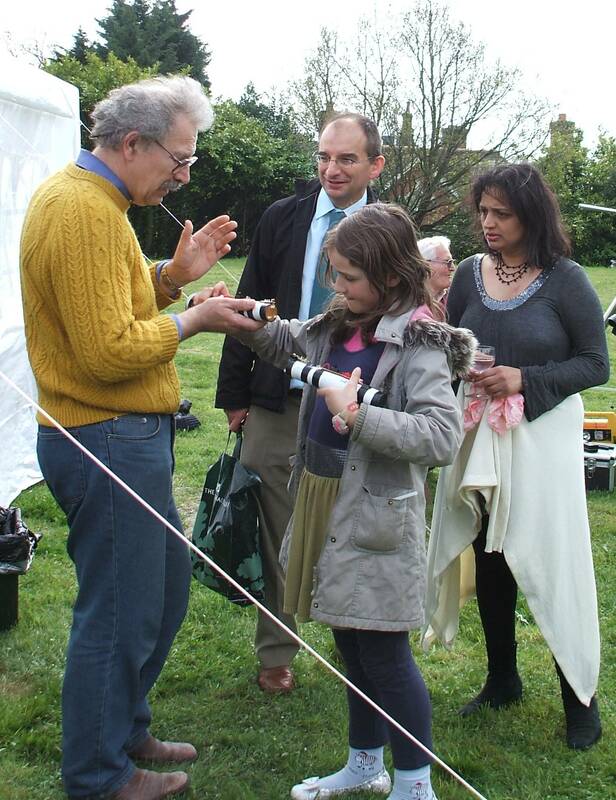 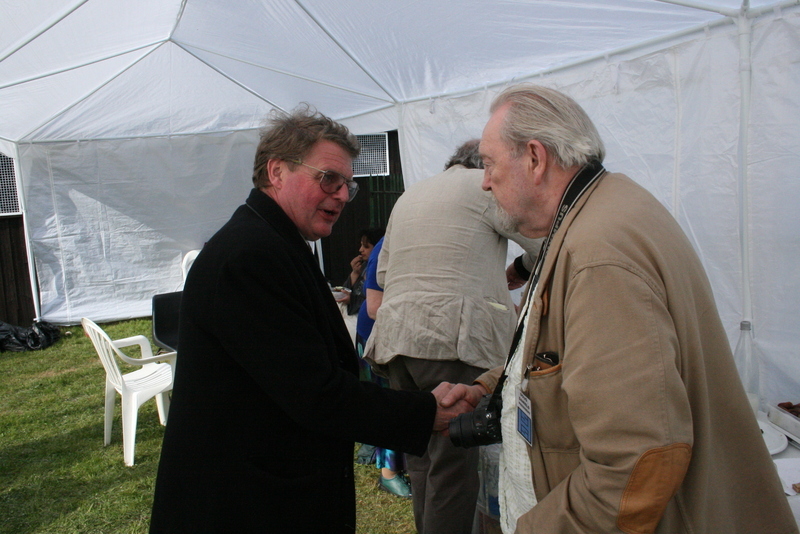 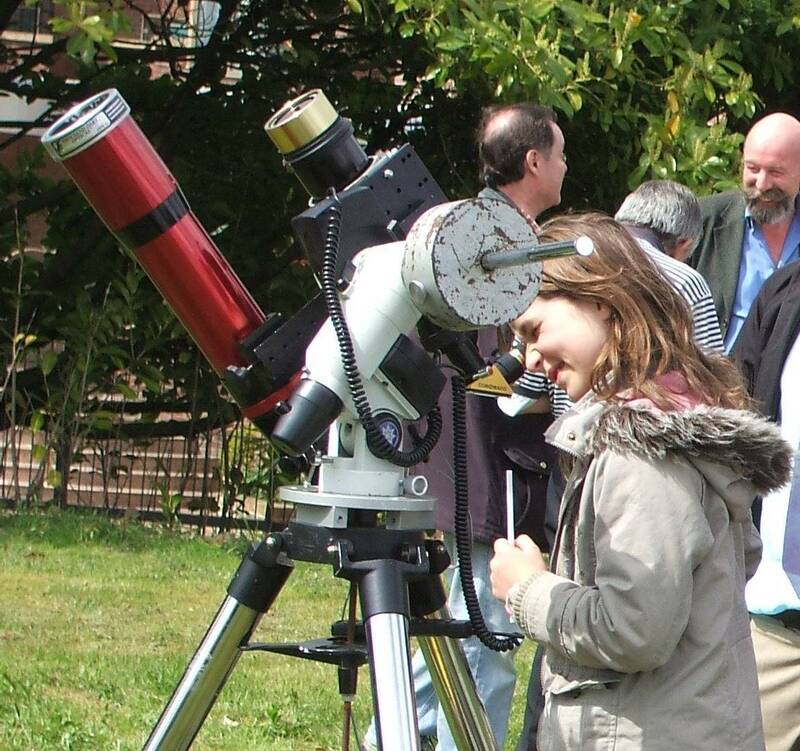 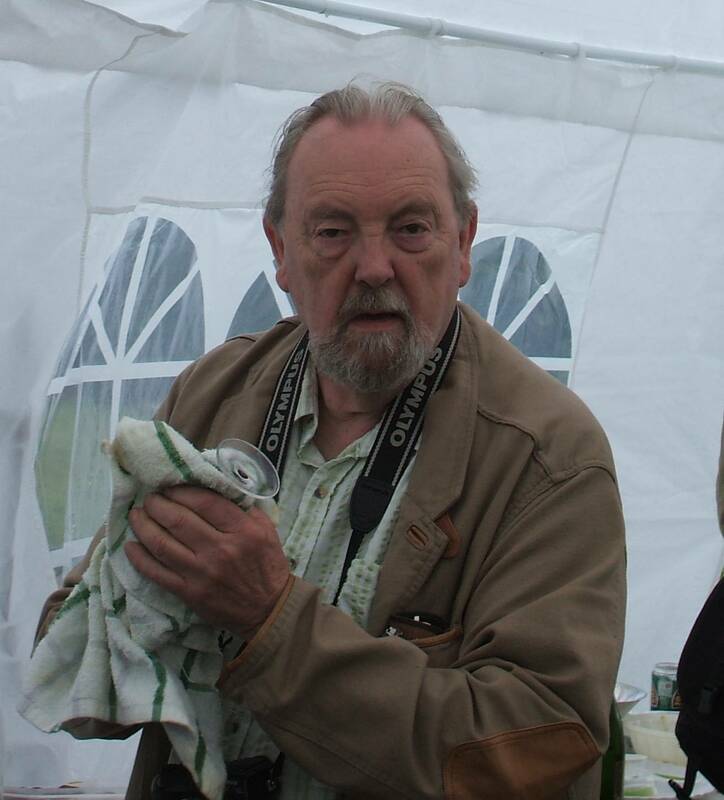 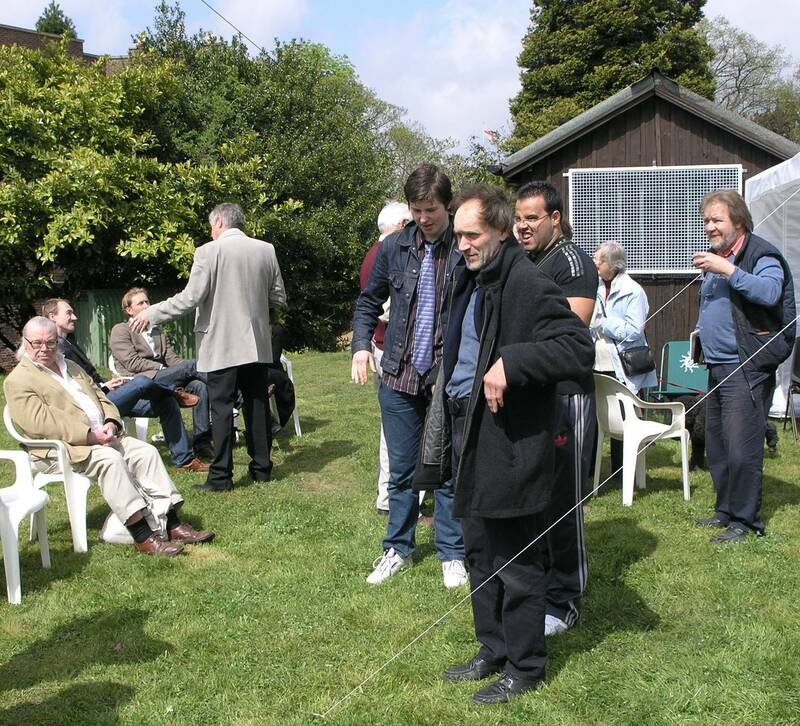 On the 25th April 2010, members of the Hampstead Scientific Society gathered to celebrate the centenary of the Hampstead Observatory and Meteorological Station. 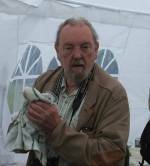 Click on the thumbnails below for larger pictures. 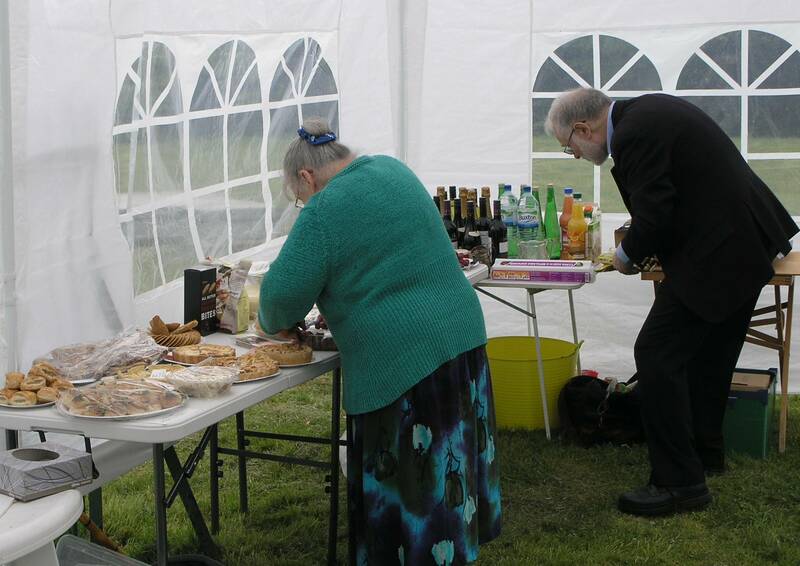 Julia Daniels lays out the party food brought by members, while John Tanner sets out the liquid refreshment. 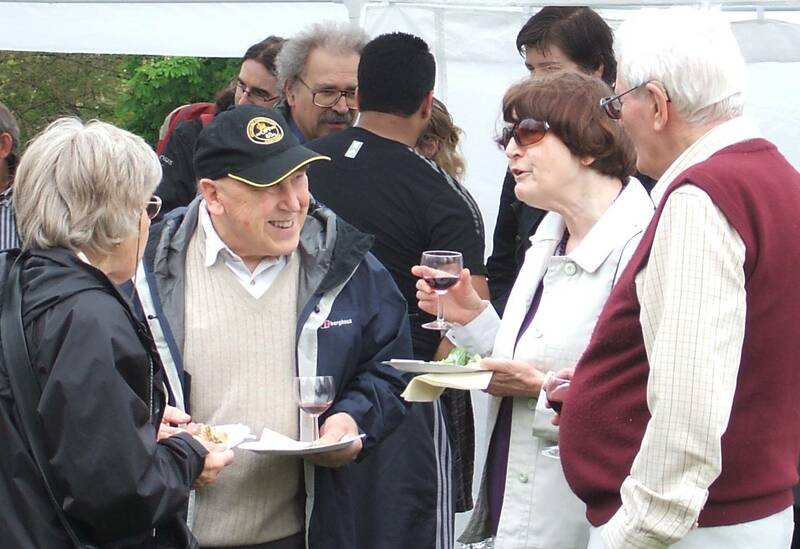 Members enjoy a good conversation with their food and wine. 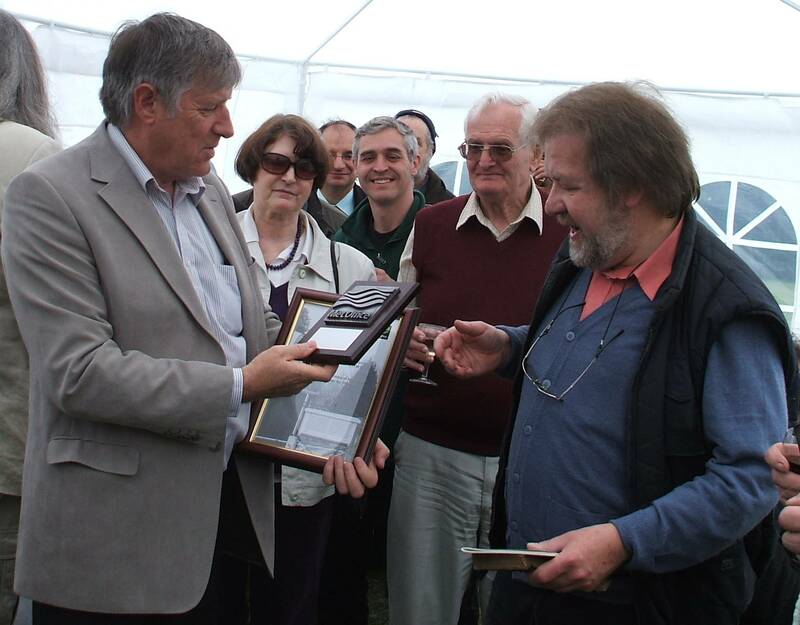 The Meteorological Section Secretary, Philip Eden, is presented with a plaque and plate by Steve Haynes of the Meteorological Office, in recognition of 100 years of unbroken records from the Society's weather station. 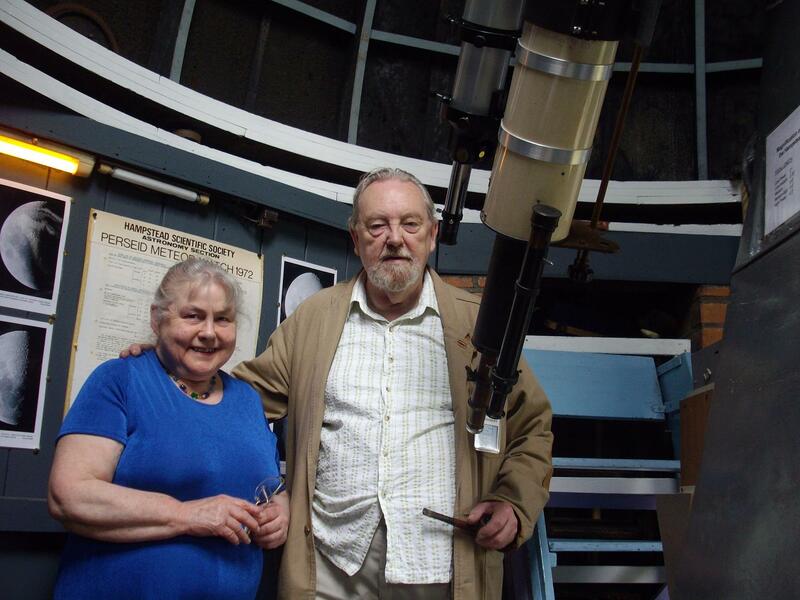 The President Doug Daniels and his wife Julia proudly mark the Centenary of the observatory site, standing by the Cooke telescope in the Society's observatory . 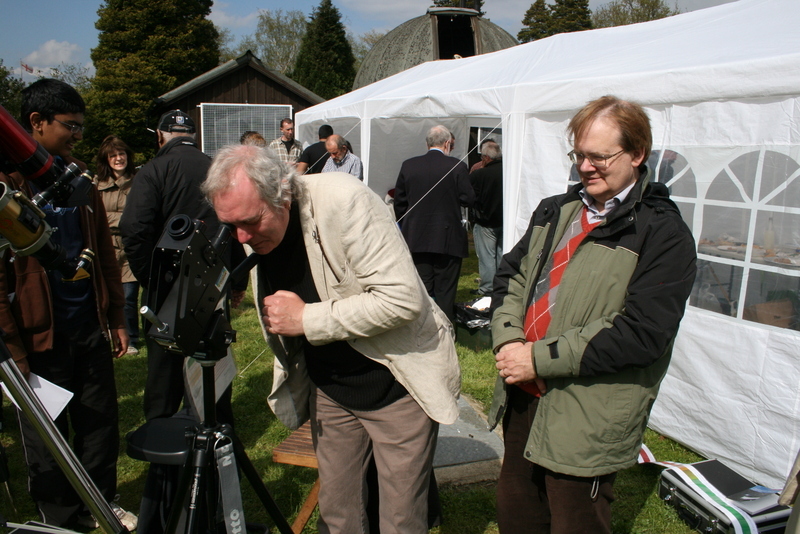 Bob Marriott (BAA Curator of Instruments) views the sun through Jack Martin's Lhires III spectrograph while Dr. Richard McKim (BAA Mars/Mercury/Venus Section Director) watches. 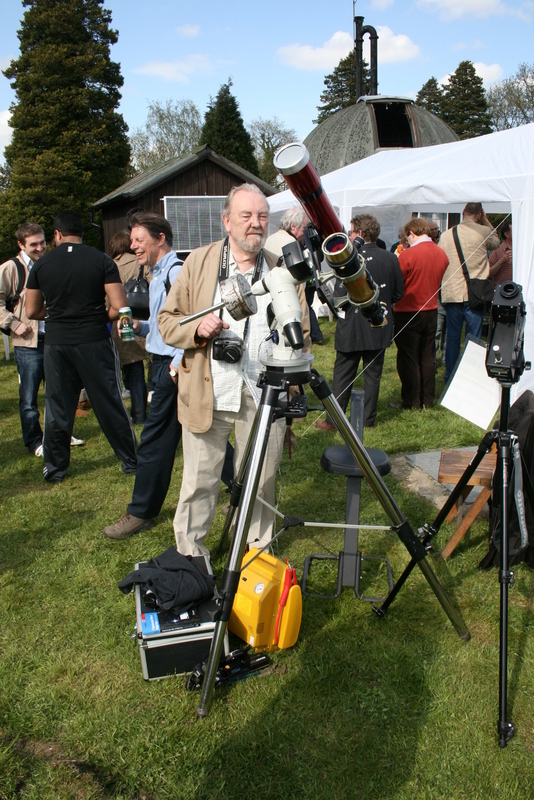 Catching a view of the sun filtered for the hydrogen alpha line through Brian Bond's solar telescope. Dr. Dan Pooley examines a 'middle aged' star, fortunately not likely to go Supernova yet! 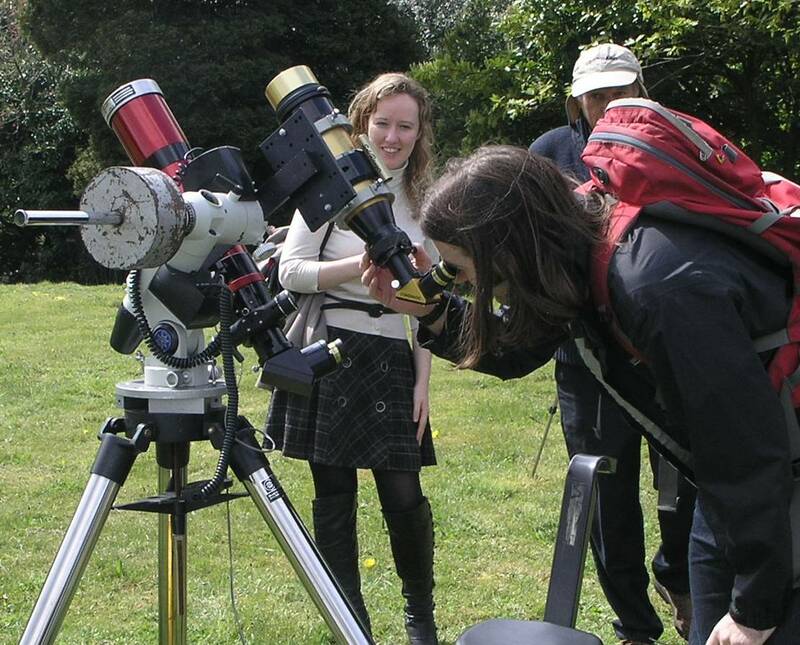 The President admires Brian Bond's solar telescope. All good things must come to an end - with the washing up!